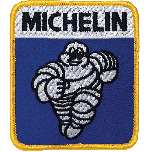 This authentic, early design was used during the 1940s and 50s. 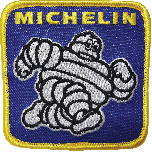 These embroidered sew on patches are perfect for t-shirts, caps or jackets, this oval patch features the period logo of Mr. Bibendum (the Michelin Man) rolling a tire. 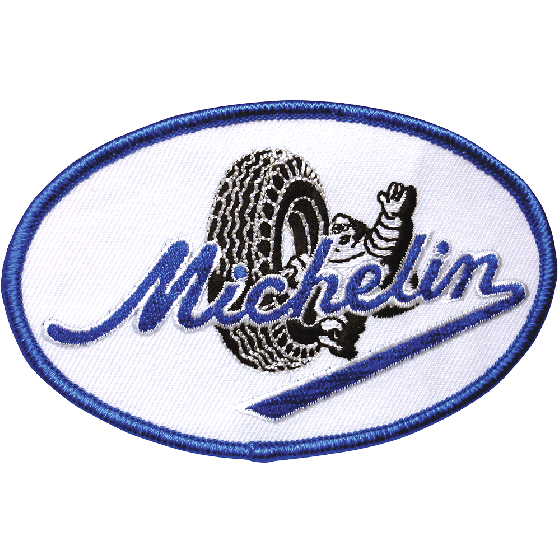 Original vintage embroidered patches of this design are very rare. 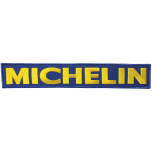 Measures 2.5"" tall by 4"" wide. Made using high quality twill with fully embroidered art. 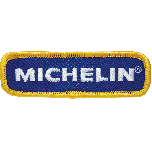 This patch is officially licensed by Michelin Lifestyle Ltd. 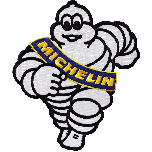 Collect all seven original Michelin designs!